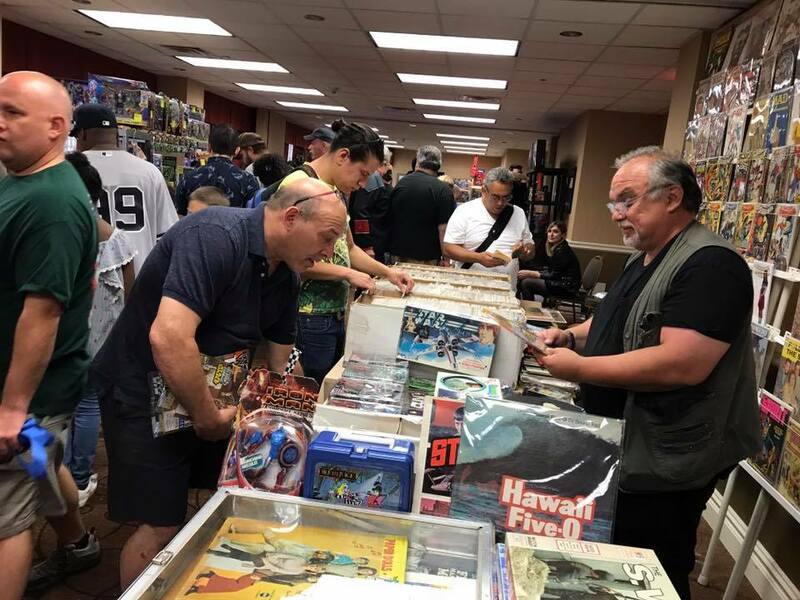 CHECK OUT OUR AWESOME DEALER ROOM PACKED WITH COMICS, TOYS & COLLECTIBLES! FANTASTIC DEAL! You Get One free Larry Kenney autograph! ALL V.I.P. Ticket Holders also get a swag bag and EXCLUSIVE art print! 12-23 River Rd RIVER RD. SPIDER-MAN IS COMING TO NEW JERSEY COLLECTOR FEST APRIL 6TH! Before there was INTO THE SPIDER-VERSE Before SPIDER-MAN HOMECOMING! There was tv's very first Spider-man....... We are super excited to announce the legendary PAUL SOLES the man who brought Spider-man to life in the iconic 1960"S Amazing Spider-man cartoon will be making his first and only scheduled NJ/NY METRO area convention appearance ever! Some of Paul's other amazing voice/acting credits include Hermes the elf in Rudolph & the INCREDIBLE HULK with Edward Norton! The amazing Larry Kenney Lion O himself will be making a special guest appearance at our Super Show! Order your VIP tickets today and Larry will sign one free autograph on your item at no charge with your special vip show ticket. 8x10 color photos will also be available for sale at your convenience at the show for the nominal cost of $5.00. With your NJ Collector Fest VIP ticket you will also receive 1 exclusive limited edition super hero art print and swag bag plus early admission to the show, all for the low price of $26.95 for a very limited time! Some of Rudy's stunning art work can be seen on top Marvel and Warren titles including Vampirella, Iron Fist, Conan, and the Hulk, just to name a few. Stop by and say hi to Rudy at Collector Fest. You will be blown away by this talented and affable man. The amazing super talented Paris Cullins is coming to Collector Fest for the Spring spectacular on April 6th! We are super pleased to welcome the Amazing and prolific colorist Bob Sharen to New Jersey Collector Fest. Bob has colored more comics for Marvel than any other colorist in history. Bob's amazing work can be seen on so many iconic modern era comics including Spider-man 300 and Spider-man 1 &2 just to name a few. We can't wait to get the Collector Fest party started. Order your tickets today and save on this amazing event.Guests, comics, toys ,cosplay and much more! We are proud to announce the Amazing Joe St. Pierre! Joe is one of the most friendly and talented artists around.Joe has been credited with having his artwork appear on more Spider-man titles than any other artist! American comic book artist, known for his longtime association with Archie Comics. Since the 1990s, he has worked on titles like 'Betty & Veronica', 'Archie' and 'Jughead'. He has also worked on the 'Peanuts' books by Boom Studios, and he created his own characters 'Hugo and the Bug'. We are super pleased to welcome the talented comic book and trading card artist Ray Lago to the New Jersey Collector Fest Spring Spectacular April 6th in Secaucus NJ. Comic fans rejoice! New Jersey Collector Fest is pleased to welcome the Amazing Alitha Martinez as a special guest! Alitha's crisp dynamic and beautiful art can be seen in World of Wakanda, Iron Man and Batgirl just to name a few. Save the date and meet this talented artist in person. We can't wait to get the amazing Collector fest party started. We are pleased to welcome the amazing fan favorite artist Neil D. Vokes to New Jersey Collector Fest for the first time! We are pleased to welcome rising star artist Christian Espiritusanto to New Jersey Collector Fest on September 8th! Christian's amazing artwork has been seen in Walking Dead magazine 18. Meet Christian at Collector Fest . You will be wowed by his stunning art and outgoing style. We are pleased to announce that the talented John Hebert will be a special guest artist at New Jersey Collector Fest on April 6th! John's striking art graced the pages of Punisher War Journal & X-MEN Adventures just to name a few! We can't wait to get the New Jersey Collector Fest party started with you. Join the fun! We are super pleased to announce the spectacular and talented artist Keith Williams is coming to the New Jersey Collector Fest party! Keith's striking pencils or inks can be seen on iconic strips and comics Including Phantom, Superman & Web of Spider-man just to name a few! Stop by and say hi to this amazing friendly creator. We are Super Happy to Welcome The talented Chris Batista to New Jersey Collector Fest on April 6th! Some of Chris Batista's amazing art can be seen on Aquaman, Lobo, Hawkman and 52 just to name a few. 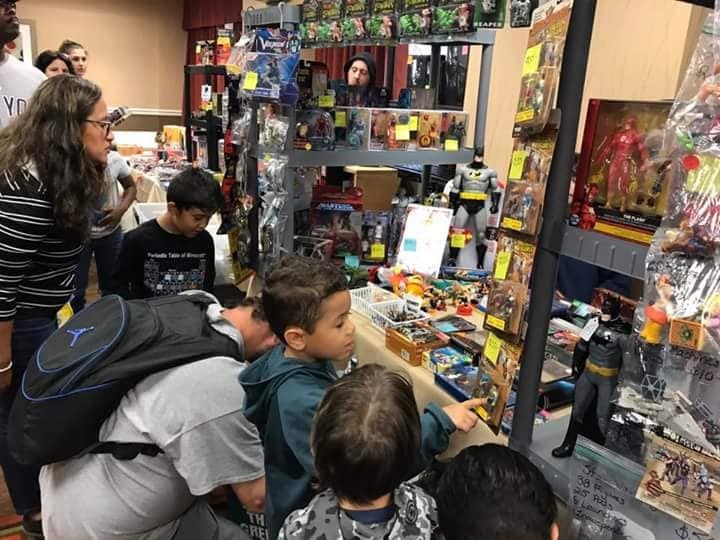 We can't wait to get the party started with Amazing artists special guests and vendors selling the coolest comics , Toys and collectibles on earth. New Jersey Collector Fest is pleased to welcome the amazing Brendan Shaw. Stop by and say hi to this awesome and talented artist! 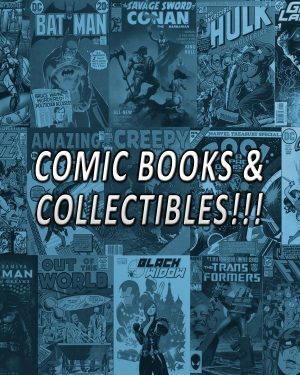 Marvelous Matt Parton Joins the Collector Fest Spectacular April 6th! 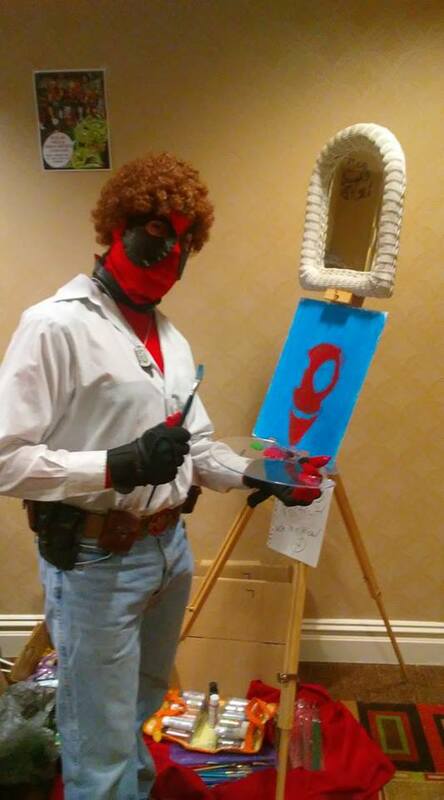 Matthew Parton is a cartoonist, illustrator, caricature artist, and a up-and-coming comic book artist from the Poconos, PA. Matt studied at the Joe Kubert School of Cartoon and Graphic Art. He has several projects in the works including two of his own comic books, "THE ATOMIC THUNDERBOLT: RETURNS" and "THE ATOMO SQUAD". He was recently hired to work on a brand new comic book series: "ZOEY SAVES THE UNIVERSE: Issue #1" published by ZEAMBA COMICS, LLC. He will soon be working on two other comic books for indie publishers. Matt has also worked as a caricature artist for TOONED IN: CARICATURE COMPANY (https://www.facebook.com/toonedincc/ ). He is also a published author and illustrator of a children's book titled "MY CLOSET MONSTER ATE MY HOMEWORK" which he wrote and illustrated back in high school in 1998 and was published by PublishAmerica in 2009. 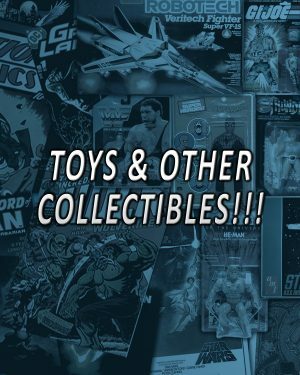 Four’s A Crowd invades New Jersey Collector Fest April 6th! Four's a Crowd Productions was founded in 2017 when four friends set out to mix the old with the new. Founders Dustin Scully, Gerry Mastrolia, Jesse Dorfman and Talia Wynzel had all collaborated artistically for some years before the start of Four’s, but their shared passion for creating original content and making people laugh drew them back together. Something that has always connected this group’s friendship has been their shared love and admiration for the work that had come before them. Much inspiration for Four’s A Crowd comes from classic Cinema & Broadway shows as well as television, cartoons, and music from the 60’s, 70’s, and 80’s. While not all of Four’s A Crowd’s content is directly inspired from something older, it’s tone and humor is specified and stylized to entertain both the “vintage” and modern day audience through a genre they call, Cinematic Sketch Comedy. Enrique " Quique! Lopez Born to Cuban parents in Puerto Rico, Quique was always fascinated with telling stories.Once his daughter started to develop an interest in the visual arts, he felt the urge to return to his love of comics. Though mostly an inker, he still sketches and will spin a nice yarn if you ask nice. He is currently involved in a number of projects including a collection of stories set in a fantastical world which with the help of his artist friends should see the light of day late 2019 or early 2020. Marimar Lopez Marimar was born in Puerto Rico and started sketching at an early age. In 5th grade one of her art drawings was chosen for an exhibition mostly composed of middle and high school works. She later used her sketching to help her design her own clothes and later attended the Mood School of Sewing in NYC to improve her methods which she used to work on cosplay costumes for conventions such as NYCC and NY Anime Con. She has moved onto digital artwork under the supervision of Peter Scanlan, formerly of Marvel. 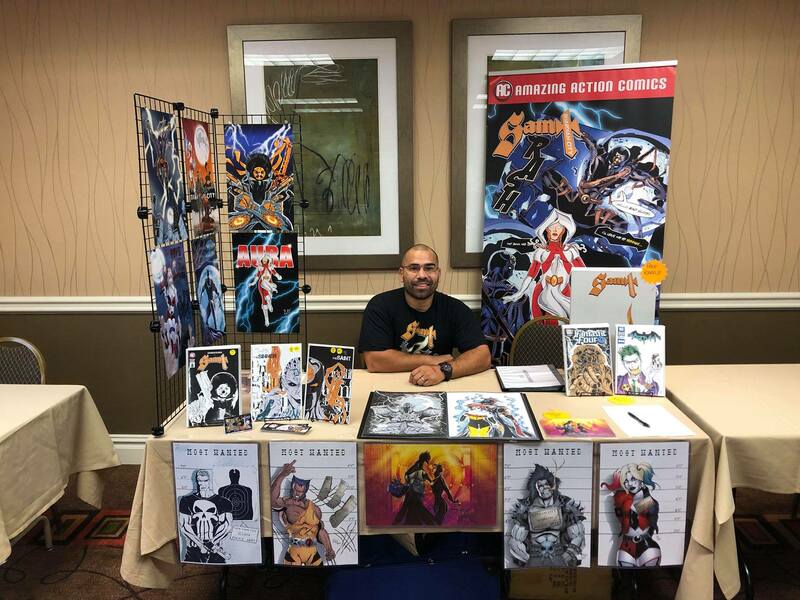 For the first time at the New Jersey Collector Fest, Gianni Boy Vee will sell physical copies of his co-created children's comic book,"The Adventures of Bo Tanik #1." He will be accompanied by his fellow co-creator, Bobby Castle. Get it while it's hot. Gianni Boy Vee is the owner and the editor-in-chief of Highland Pop Media. He is also the co-creator of the children's comic book series,"The Adventures of Bo Tanik." He co-created it with his friend, Bobby Castle. Gianni Boy Vee was born in New Brunswick, NJ and grew up in Highland Park, NJ. He attended Highland Park High School and graduated. After that, he attended Middlesex County College and then transferred to Rutgers University where he earned a bachelor‛s degree in Theatre Arts (with a concentration in Production and Design). He also attended ITT-Tech and earned an associate‛s degree in Computer Drafting and Design. Gianni Boy Vee has been a comic book fan since he was a child. He has always wanted to create his own comic book and is very pleased to have the chance to in the form of a children‛s story.